If you are currently searching for a limo bus in Detroit, then rest assured that your search has finally come to an end. We have years of experience in this industry that ultimately means we are in the perfect position to provide to you everything that you could ever hope to expect when it comes to hiring an amazing limo bus for whatever your needs may be. Our limo bus is capable of holding even more people than ever before thanks to the way in which we have designed the interior. After all, we want to make sure that you can invite all of your friends or relatives along and also to just not feel cramped at the same time. When you step on board our limo bus, you will know immediately that you are in somewhere that is very special indeed. Not only have we provided you with all of the comforts that you would want to see, but we have also made sure that the atmosphere is second to none. Let’s face it, you will be wanting to enjoy yourself and there is just no way of doing that unless the atmosphere is wonderful. Our limo bus is fully equipped with everything you need including luxurious seats to allow you and your party to travel in both style as well as comfort. Then, there is the sound system that will allow your choice of music to be played as you are driven around Detroit. Oh, and then there is the driver who will be there to help make sure that your time with us is even better than you could have ever hoped for. 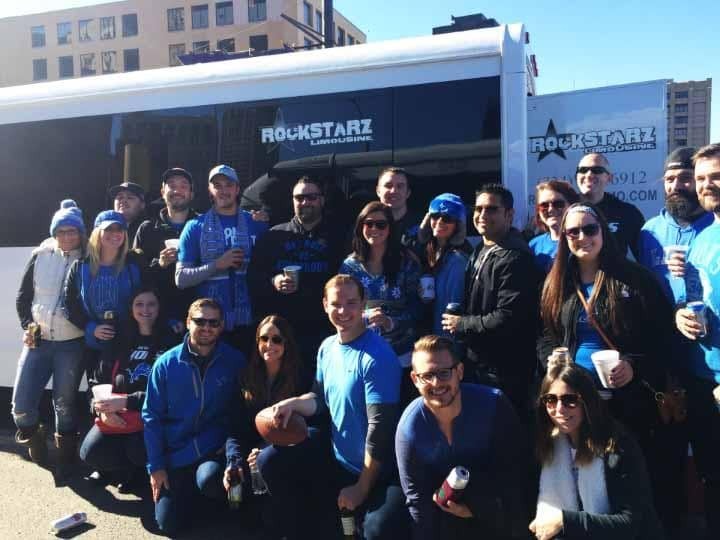 People have hired our limo bus for a number of different reasons, and no matter what it may be, we are here to provide to you an amazing location. No matter if you have a special celebration, birthday, anniversary, or perhaps a bachelor or bachelorette party, then we can help. All you need to do is to contact us and a member of our team will work closely with you to ensure that we can provide the perfect service from start to finish. We will discuss where you want to be picked up, the route that is open to you, how many people will be there, and any special requests that you may have. After all, we need to know about them in advance so you do not miss out on those small things that can just make a huge difference to your time spent with us. So, make your life so much easier and stop searching for a limo bus in Detroit. Instead, give us a call and speak directly to a member of our team to see how we are able to help. After this initial conversation, we will then be able to put together a wonderful experience for you and your guests and we can guarantee that you will all love you time with us in Detroit.